My cobalt and our journey. The car is smaller so it helps navigating around the city. I am a bigger guy and the interior is snug to me but not uncomfortably so. The auto locks in the car have also stopped working as well as a weird electrical system that if someone slams my passenger door or trunk the tail lights and dash lights go out. Most likely just old wiring after a pretty normal wear and tear on the car. Other than those problems the car has needed little to no work and has gotten me to around 125k miles without major repairs. 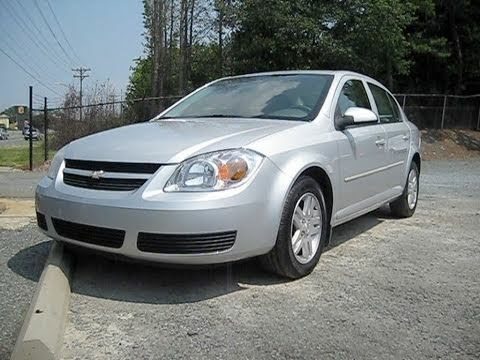 The Chevy Cobalt is a relatively good car if you take care of it. The Chevy Cobalt is a relatively good car that has a few weird quirks. The battery is not located under the hood, but it is in the trunk. There is no dipstick to check for transmission fuel. You have to take it to the dealer to have them check it about every 75 thousand miles. The bumper is a bit fragile but that car overall is strong if you take care of it and do regular oil changes. I have about 188 thousand miles on my car and it still runs fine.